Jason Altamirano, a native of Hatch, New Mexico loves playing sports. He played a number of sports when he was growing up and always had a desire to do more. “I always had a drive to be a part of a team,” he said, adding that he loved challenging himself both physically and mentally. His parents, however, insisted that school work had to come first. Now living in Denver, at age 31 Jason has managed to put his time and energy into both sports and education. For the record, he loves volleyball; sand, grass or indoor hard court, it makes no difference. It has a special place in his heart since it was part of his coming out journey at age 18 when he had no idea about anything “gay” or where to even meet anyone like him. But he knew he needed some sort of outlet to connect to the LGBTQ community. Jason already holds an undergraduate degree in a dual major – pre med which is basically a biology/chemistry major, and sports medicine and dietetics. Currently he’s a neuromuscular therapist or NMT specializing in pre/post-operative care and in rehabilitation for both sports and injury situations as well a strong emphasis on debilitating diseases such as Parkinson’s, multiple sclerosis, muscular dystrophy and neurological damage. 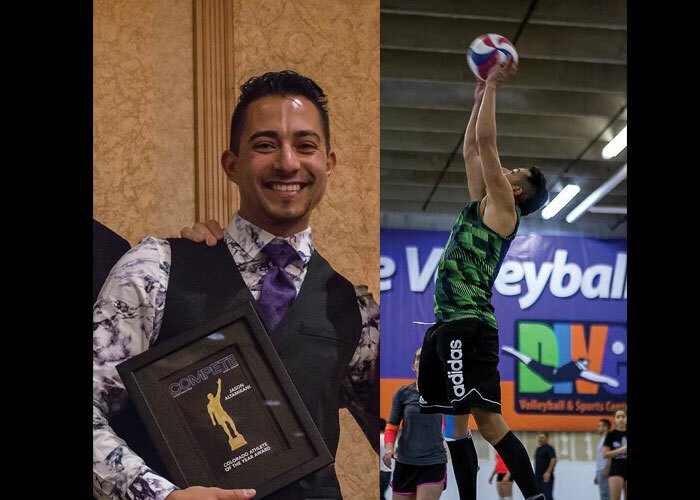 Part of his drive to give back to the LGBTQ sports community began by joining the board of his volleyball team just to see how it all worked behind the scenes. Then he was granted an official position, put in charge of player development. Now he’s the president of the organization and the league director, all because he still wants to provide for others that same wonderful experience he’s had through his years of playing. Jason also hopes to influence those athletes in turn, to do the same for others. He says that “Whether they are gay or straight, lesbian, bisexual, transgender men or women, good or bad at sports, I knew I sucked when I first started and yet so many were there to help and have patience. Now that I’m on the other side, I would be happy to pass on the torch.” Hopefully, all athletes will take a lesson from Jason Altamirano!